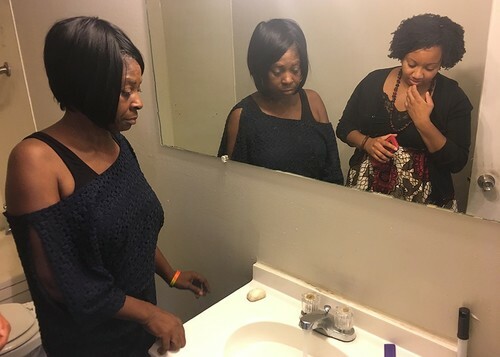 Tens of thousands of Detroit renters are evicted each year, often by landlords who provide substandard housing or operate illegally, a report has found. The evictions perpetuate a cycle of displacement in the city with many consequences, some more visible than others. All that expensive-to-tear-down blight you see? Some of those houses began their slide into disrepair when the renters were tossed out. But a group of Detroit eviction defense lawyers is floating a solution it says would be a win for both renters and the city: Invest the estimated $4 million it would take to ensure every renter is represented in court, and realize huge savings in demolition, homeless shelter, and other costs. The idea was presented Tuesday at a "Detroit Eviction Right To Counsel Summit" that included city leaders. Housing advocates estimate that just five percent of renters whose cases are heard in court are represented. There are more than 30,000 eviction cases in the city each year. [The representation rate is] half of what some similar cities have reported, said Neil Steinkamp, managing director at Stout, a New York consultant firm that has conducted cost studies on guaranteeing representation in other cities nationwide. Nearly 83 percent of landlords were represented. When renters didn't have an attorney, 28 percent of cases resulted in an agreement between the landlord and tenant, compared with 62 percent when tenants had an attorney, according to organizers. New York was the first city to guarantee an attorney to low-income tenants facing eviction in 2017. San Francisco and Newark, New Jersey, followed with similar programs and Cleveland, Washington D.C., Seattle and Philadelphia are exploring their own regulations. In New York, the city will spend $155 million a year when its program is fully implemented. Before it was launched, a study by Steinkamp found the city could save $320 million by providing lawyers to low-income tenants.